All of these help give us more control over the odds of winning, and are explained in full below. First and foremost, it’s best to play on a European (including French) roulette wheel over an American one whenever possible, even if all three are on offer at the same casino. That’s because while all wheels offer the same payouts, the European wheels have better odds. The average house edge on an American roulette wheel is 5.26%, whereas the house edge on European roulette wheels is just 2.7%. 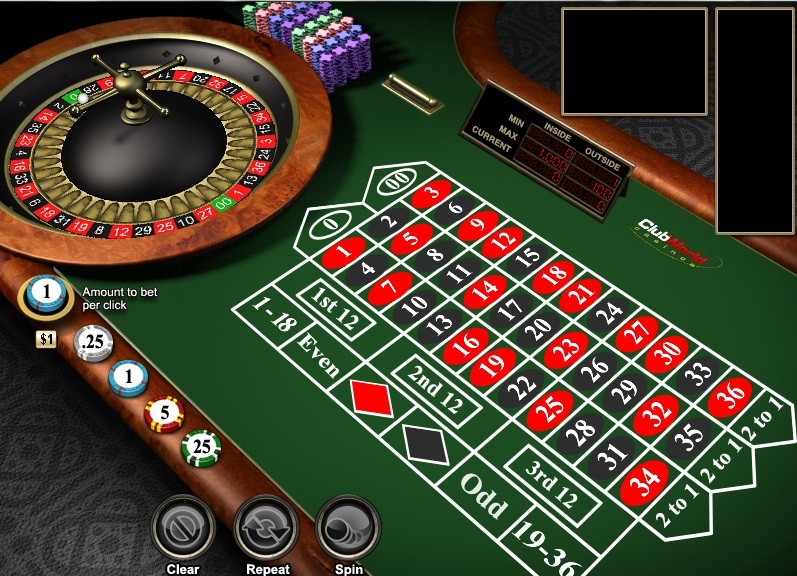 If you can find online roulette that not only offers a European wheel but also offers an “En Prison” rule – which allows players to hold and repeat their bets for a single turn after the ball has landed on 0 – then the overall house edge is reduced to just 1.35%. Similarly, if you can find a casino that offers a French variation of Roulette that offers the “La Partage” rule then even money bets that land on a zero are halved and given back to the player resulting in the same house edge of just 1.35%. Based on our experience it is very rare for online casinos to feature the En Prison rule, however a few do feature the La Partage rule, which has the same house edge (see box below). Because roulette is at its heart a game of chance, and players have no way of controlling the outcome of every spin, you have to go with the best odds available to you. That’s why a smart roulette strategy focuses on betting. Below are all of the inside and outside bets that are available to roulette players. Simple math is all it takes to see that the outside bets offer the best odds because they have nearly 50/50 probability. Because of the single green 0 space, unfortunately they still carry a house edge, but it’s the smallest possible edge at the roulette table. That’s also why it’s important to play at a European wheel whenever possible, since the extra green 00 featured on American wheels affects the odds on all of the bets. Finally, a lot of players use betting systems while playing online roulette. There are numerous systems published that do work with roulette to a point but do not be fooled by any of them as there is no such thing as easy money. The most popular betting system that lends itself to roulette very well is the Martingale betting system, which we have written up about. Ultimately, you will likely win for quite some time but following it over the long term will eventually lead you to hit a losing streak that could break you. While it’s important that players understand that these systems won’t improve their odds, there is a logical reason why such systems were once popular with roulette. Back when roulette wheels were first invented, it was common for wheels to develop biases as they got worn down. Systems like the Labouchere were designed to subtly take advantage of such biases. Today, unfortunately, live roulette wheels are too well-kept to develop such biases, and online roulette wheels operate on unbiased random number generation software. As with most casino games it may be possible to take advantage of online bonuses to reduce the house edge and enhance your experience but you need to check whether you are allowed to play roulette whilst meeting the bonus requirements and if so whether there are any restrictions such as maximum bet size allowed that you should be aware of. So Where’s The Best Place To Play? Taking into consideration our strategies above we have short-listed 4 online casinos in the table below, which use 3 different software platforms to power their roulette games. So, you should be able to get a fair deal of variety and be safe in the knowledge that these casinos are the best places to be playing roulette – we determine this primarily because these casinos offer the lowest house edge for roulette but also because we know from experience they are all big casino brands, using reputable game software that offer a wide variety of banking methods and quick cash-out times. Gala Casino offer Playtech’s version of Premium French Roulette, which features the La Partage rule. Gala’s also a household brand in the UK. Offering the La Partage rule on their Premium French Roulette game. Very polished instant play version with real and practice modes. Since Amaya now powers Intercasino, they offer a super smooth instant play European Roulette game with the La Partage rule. Ladbrokes Microgaming version of French Roulette has a 1£/€/$ min bet and a 125£/€/$ max bet, which features the La Partage rule. The instant play version of this game is not as smooth as Playtech’s offering at Paddy Power so the download version is your best bet here.